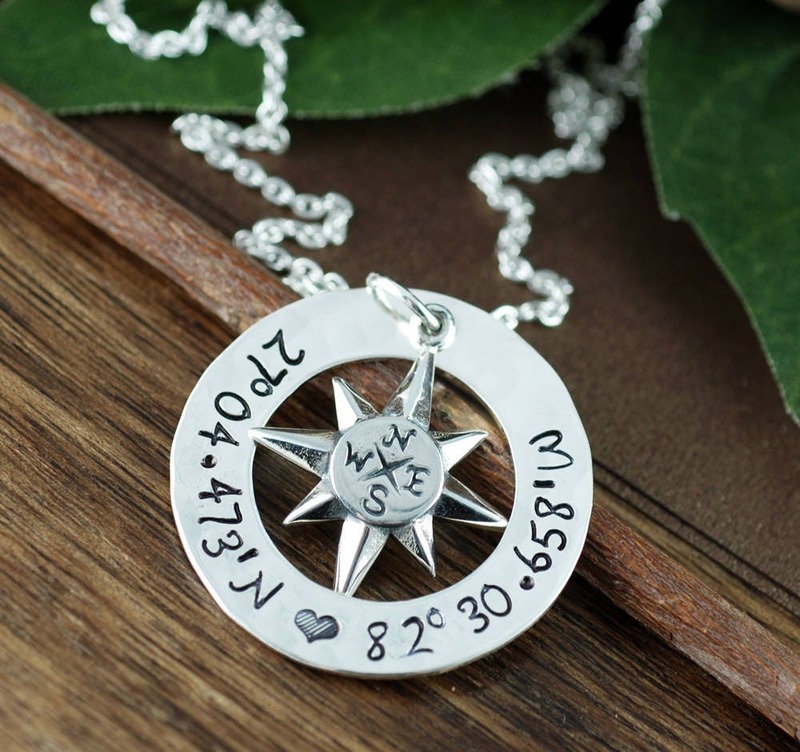 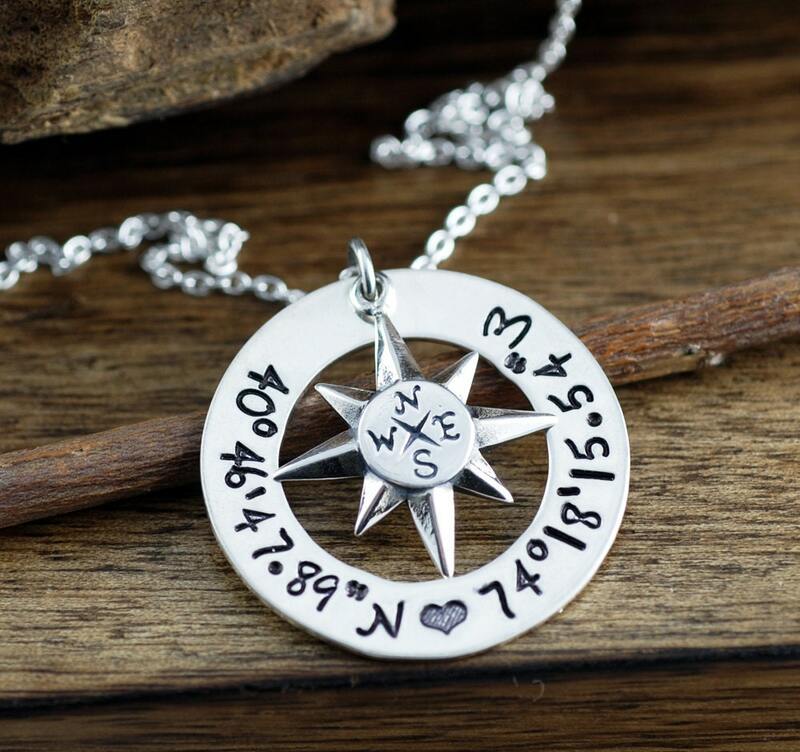 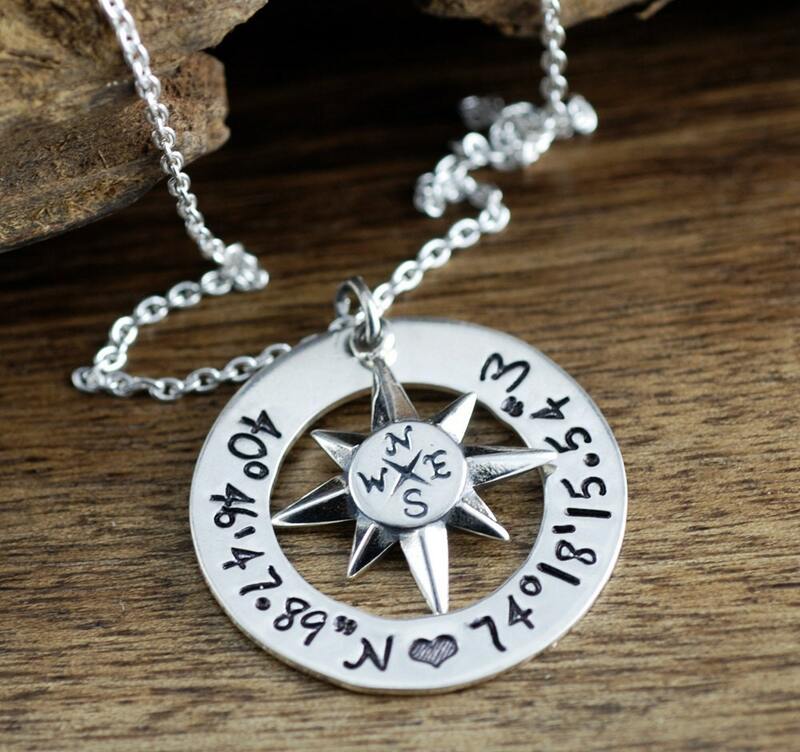 Love this Unique Coordinate necklace with our new north Star Compass Charm! 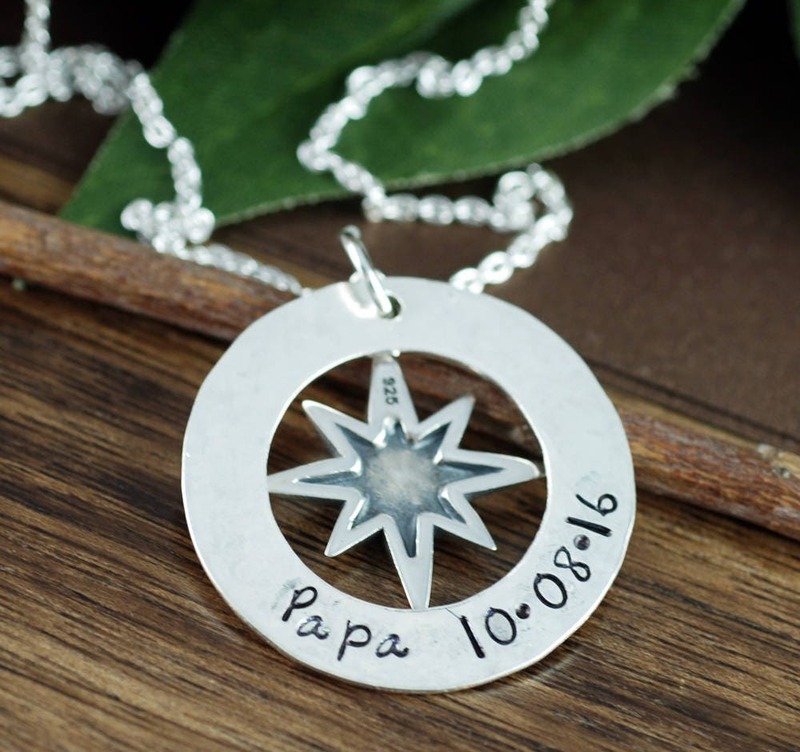 Please provide your detailed info at checkout in the "message to seller" box in ETSY. 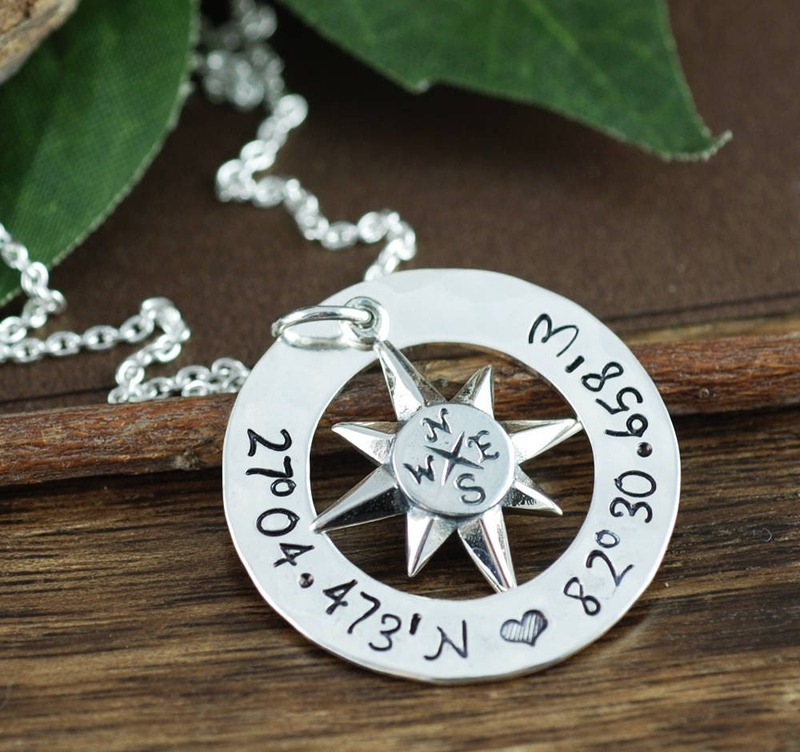 Such as, what you would like stamped on the washer (coordinates, name(s), word(s), or phrase, and size chain.